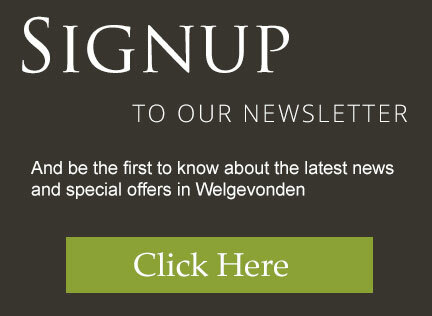 You agree that this policy will apply if you access or use our website at https://www.welgevondengamereserve.org/. When registering and making any enquiries or reservations on our site, as appropriate, you may be asked to enter your name, email address or other details to help you with your experience. This policy will apply to you, and will create a legally binding contract between us, whenever you use or access our website. Are there other applicable terms too? Yes, there are also website terms (at https://www.welgevondengamereserve.org/terms-conditions on our website). Additional terms may also apply for specific products or services or subscriptions available through our website – these terms are included in our website terms. If there is a conflict between these terms and the specific terms, the specific terms will apply.